Tell Me Press, LLC, 9780981645346, 240pp. Having a sense of humor is essential to health, says singer-songwriter Carla Ulbrich, who has found laughter to be a lifesaver during tough times. Under the stress of multiple illnesses and constant health "care," Ulbrich one day snapped and became the Singing Patient. 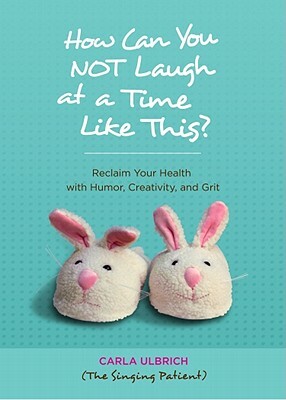 She channeled her hard won victories, set about reclaiming her health, and penned How Can You NOT Laugh at a Time Like This?, a collection of short, inspiring, funny essays that help people thrive and celebrate life despite illness. As Ulbrich spins her tale (and shares some songs), she lampoons common fears and prejudices about illness and lovingly lambastes the foibles of the medical industry. She offers heartfelt and humorous advice for navigating mainstream and alternative therapies, and she guides partners, families, and friends who wish to help their loved ones.